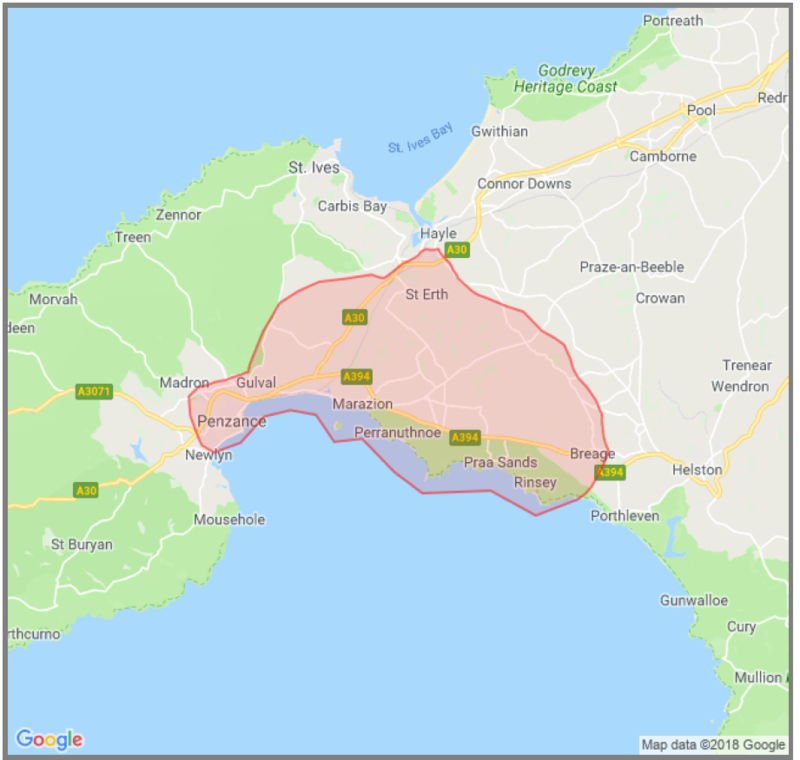 We cover a wide area in West Cornwall from Heamoor and Penzance in the West, to the outskirts of Hayle in the North, to Breage in the East and St Michael's Mount in the South, including the villages of Long Rock, Crowlas, Ludgvan, Canonstown, St Erth, Goldsithney, Marazion, Praa Sands, Townsend and Breage. The map below may be helpful. We look forward to meeting you.